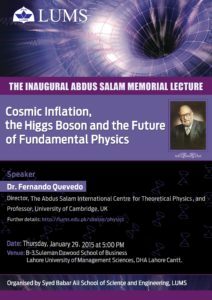 The Syed Babar Ali School of Science and Engineering initiated the Abdus Salam Memorial Lecture Series, on January 29, 2015. 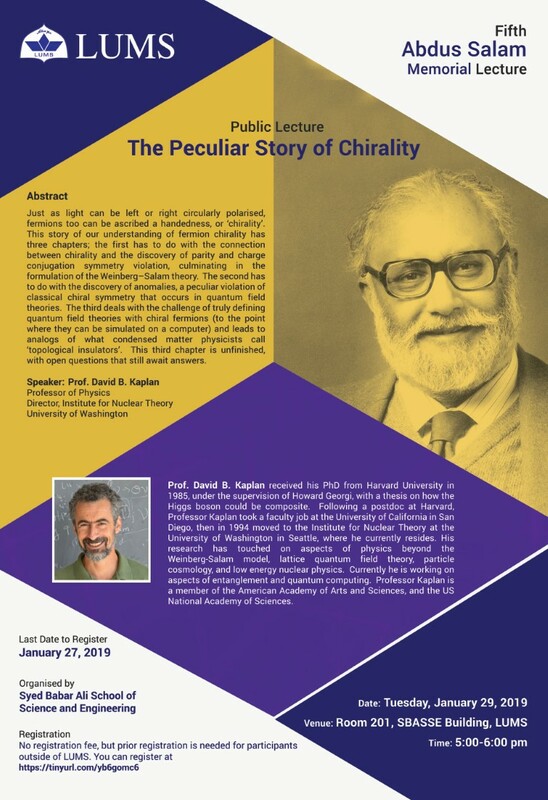 Since then, a series of lectures, geared towards a non-specialist audience, is organized every year to a pay tribute to the legacy of one of Pakistan’s most distinguished scientists, exhibiting our School’s unwavering commitment to highlighting and celebrating the advancing frontiers of scientific knowledge. 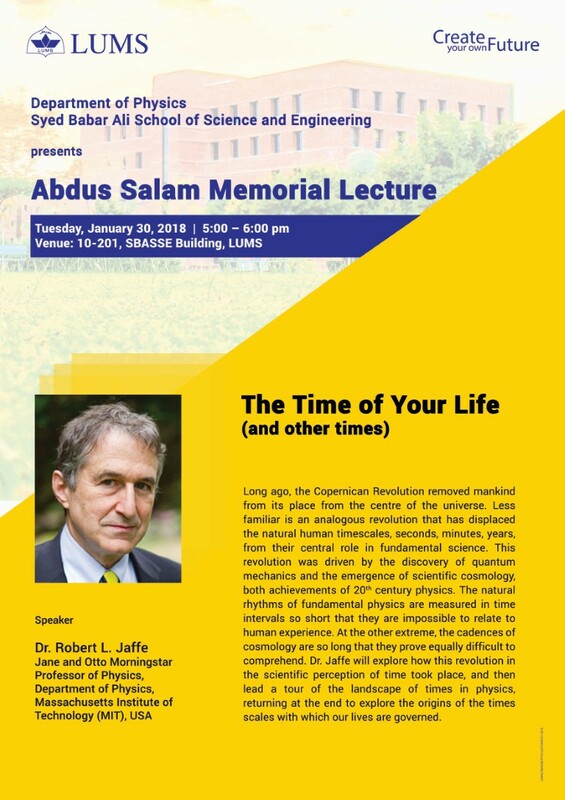 The Time of Your Life (and other times). 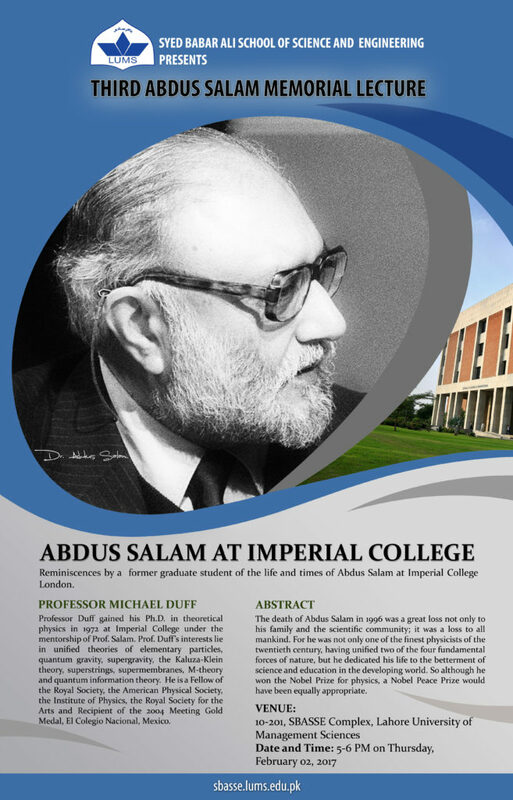 Reminiscences by a former graduate student of the life and times of Abdus Salam at Imperial College London. 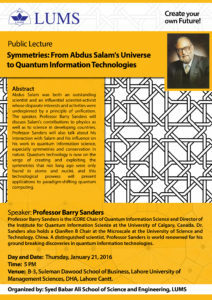 Discussion by Prof. Barry Sanders on Salam’s contributions to Physics as well as to science in developing countries. 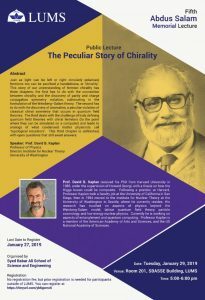 Venue: B-3, Suleman Dawood School of Business, LUMS. 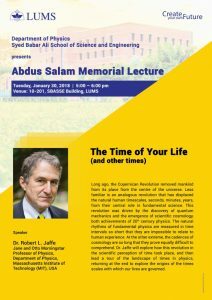 Inaugural session of Abdus Salam Memorial lecture series at Syed Babar Ali School of Science and Engineering (SBASSE), LUMS.